Other Indian names: kainaryamy (Andhra Pradesh); nagatenga (Assam); kaiphal, satsarila (Bengal); kariphal (Gujrat); kaphal, kaiphal (Himachal Pradesh); kaiphal (Hindi); kaphal(Jaunsar); kirishivani (Karnataka); maruta (Kerala); soh-phi (Khasi); kaphal (Kumaon); keiphang (Lushai); kayaphala (Maharashtra); kobuli, katphala (Nepal); kaiphal, kahela, kahi (Punjab) kathphala, aranya, krishnagarbha (Sanskrit); masudam (Tamilnadu). 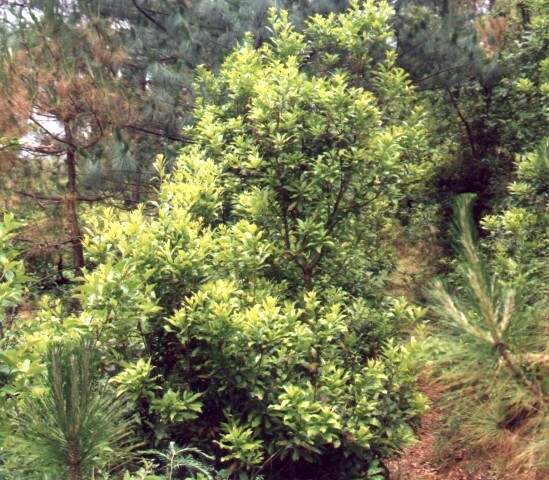 Kaphal is a sub-temperate evergreen tree found throughout the mid-Himalayas, starting from about 1,300 metres and going up to about 2,100 metres. The bark of kaphal is said to possess many medicinal properties. It is heating, stimulating and useful in catarrhal fever, cough and in the affections of the throat. An oil prepared from it is dropped into ears to stop earache. Bark is also reported to be acrid, bitter, pungent, and useful in disorders relating to vata and kapha, fever, asthma, urinary discharges, piles, bronchitis, throat complaints, tumours, anemia, chronic dysentery and ulcers. Its snuff is useful in headache and in curing eye diseases. The oil from the flowers is a tonic, useful in earache, diarrhea and paralysis. The small seedy fruits of kaphal are very much liked by all for their taste and juiciness. 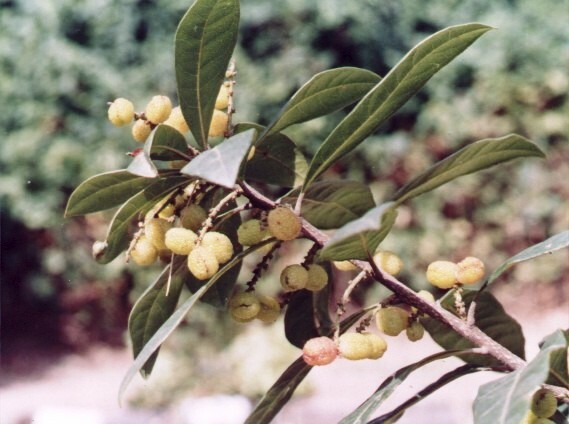 Huge quantities of this wild fruit are picked by the villagers from the forests and sold in towns. 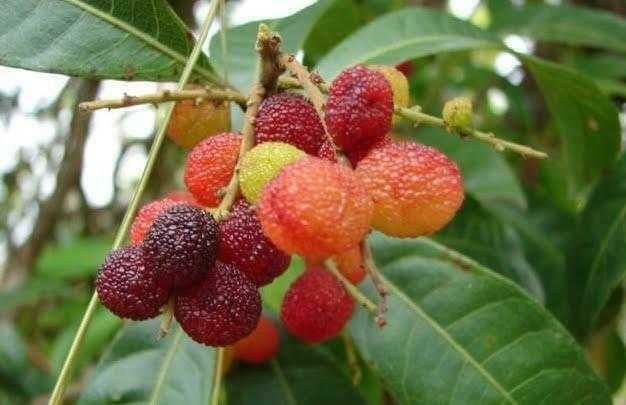 The fruits easily sell 4 to 5 rupees a kg. Every year the fruit of this tree, worth thousands of rupees, is sold in towns. It is a good source of extra income for the villagers. 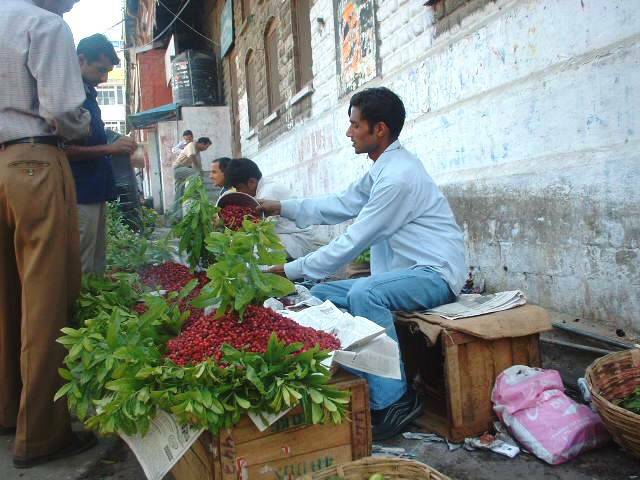 Kaphal fruits being sold at Mandi town in India. Kaphalis a tall and spreading evergreen tree. It should be very useful in avenue plantation in the hills. Besides providing shade and ornamental look, it will. also yield fruit. The small seedy fruits of kaphal are very much liked by all for their taste and juiciness. Huge quantities of this wild fruit are picked by the villagers from the forests and sold in towns. Every year the fruit of this tree, worth thousands of rupees, is sold in towns. It is a good source of extra income for the villagers. 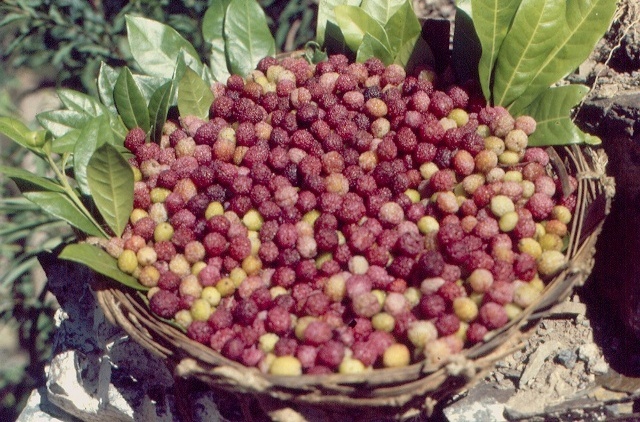 Another problem in the case of this fruit is that the harvesting period is too long and fruits from a single tree have to be harvested in many pickings. However, this is the only cost involved in the case of this fruit, the numerous trees bearing which are growing wild in the forests. This cost can, therefore, be overlooked. Kaphal is a handsome spreading evergreen tree. It should a suitable avenue plant in the hills. Besides providing shade and ornamental look, it will also yield fruit.